The essential tool for holding thru bolt nuts in place. • Fits on all standard API flange applications. • ½ turn of screw releases all torsion. 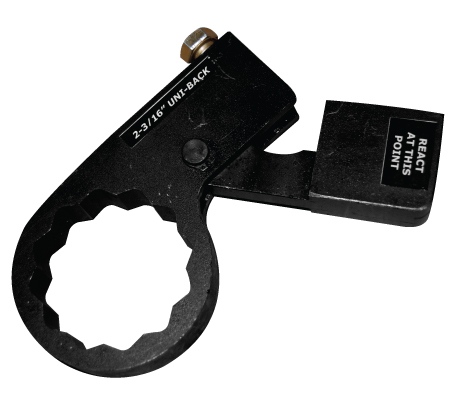 • No more hammering off of knocker wrenches.